On April 24, the ITAC committee wrapped up four months of exploration and conversation to provide a vision for instructional technology in St. Vrain Valley Schools. We are excited to share the results of their work with you and to invite your comments. To gain a perspective on the frame for learning they used as a basis for their recommendations, browse the Guidelines for Instructional Technology Considerations which list the actions and attributes we want our learning spaces to support as well as the Technology-Curriculum Alignment document which highlights the explicit evidence outcomes in our district curriculum where technology is a necessary part of instruction. 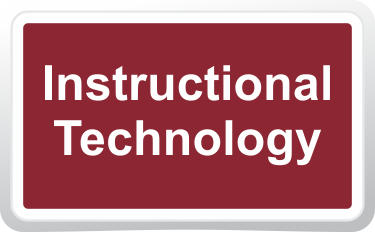 The Instructional Technology Advisory Committee Final Report to the Chief Information Officer is an overview of the recommendations for technology implementation across the district. While still a draft and undergoing revision by the committee, this will give you a sense of their final thoughts and recommendations. If you have feedback or comments, we’d love to have you share them with us. Our sincere thanks go to the 33 members of the ITAC committee for all their work. Their collective voice, spanning multiple grade levels, subject areas, departments, and schools, gave a truly representative voice for this process. 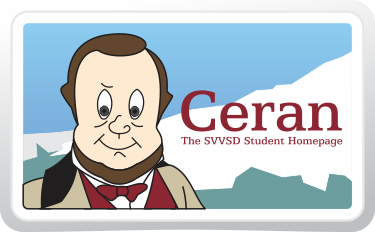 It is through their incredible efforts that we have such a powerful vision of the future of learning in the St. Vrain Valley Schools. Additional thanks go to CIO Joe McBreen and our district leadership for entrusting our group with this task. An Ideal State, which would exceed the needs of our actions and attributes and would allow us to greatly expand the use of technology for teaching and learning. An Acceptable State, which would still meet the expectations set out in our actions and attributes, but might not fully realize the ideal state we hope to build for our students. A Minimal State, which would satisfy many of our actions and attributes, but might require some compromises on how those expectations are met. Teams also began to build a rationale for their recommendations by listing the pros, cons, and implications of these three states. These will be used to build a final set of recommendations that will be presented to Joe McBreen and ultimately to district leadership. You can see the recommendations as they exist in draft form by using these links. We hope you’ll leave comments, questions and feedback below to help us refine the work we’ve done. During the January 16, meeting, ITAC Committee members reviewed the purpose of their work and the process that will be used to make recommendations to the district. The agenda and minutes from the first meeting can be found here. How do our district curriculum and learning documents impact instructional technology decisions? Return to the assumptions about instructional technology you listed during our meeting. How do these readings confirm them? Challenge them? How do these ideas impact our work? Thanks to Joe McBreen for capturing footage during the first meeting!